If it’s good enough for George Clooney, it’s good enough for us. 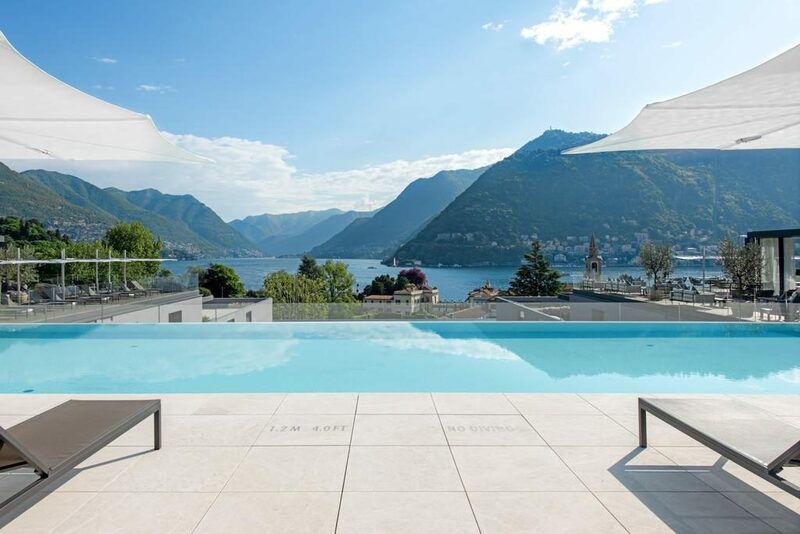 The actor is almost as synonymous with Lake Como as the beautiful Italian architecture, gentle lapping waters, luxury speed boats, and surrounding green mountains. With its dramatic scenery, renaissance architecture and subtropical climate, it is now wonder many a tinsel-towner has been spotted relaxing outside the attractive villas surrounding the iconic lake. Set against the foothills of the alps to the north, its curved shoreline is dotted with ancient villages and incredible villas making it the ultimate in European getaways. Discover your ideal luxury hotel in the area with our guide to the best. Enjoying the dually beautiful location of the small town of Bellagio and Lake Como’s Bay of Pescallo with the Alps in the background, Hotel Belverdere is a charming hotel that has been in the same family for five generations, since 1880. Just a short walk away from the picturesque town centre, this hillside gem is a true retreat complete with swimming pool, jacuzzi, and spa. 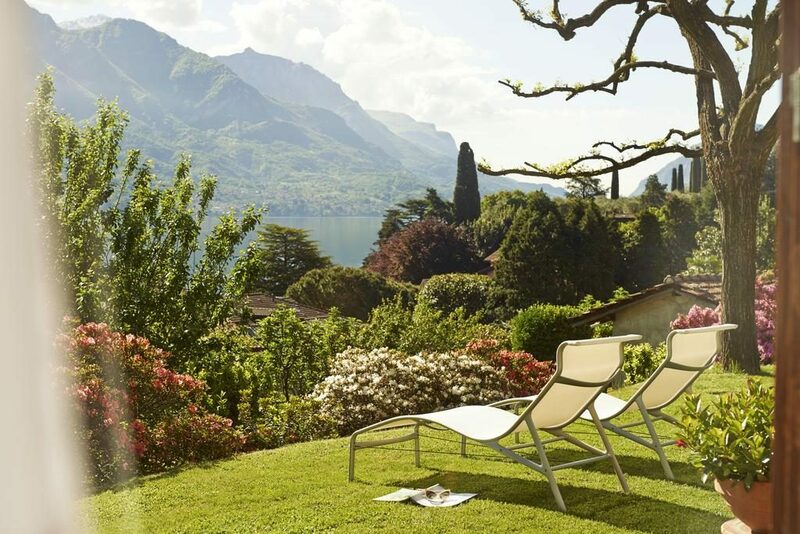 Luxury rooms and suites, a library, a bar, a restaurant that serves the best of local produce, and immaculate gardens make the Hotel Belverdere an ideal place to enjoy Lake Como. 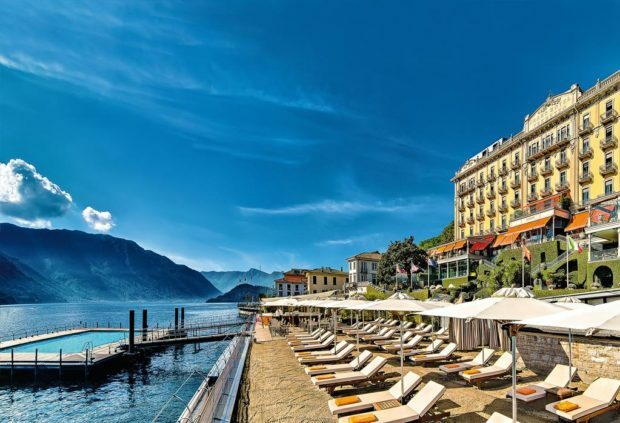 A Michelin-starred restaurant and freshwater infinity pool set right on the lake are just two standout features of this luxury hotel in the village of Torno. 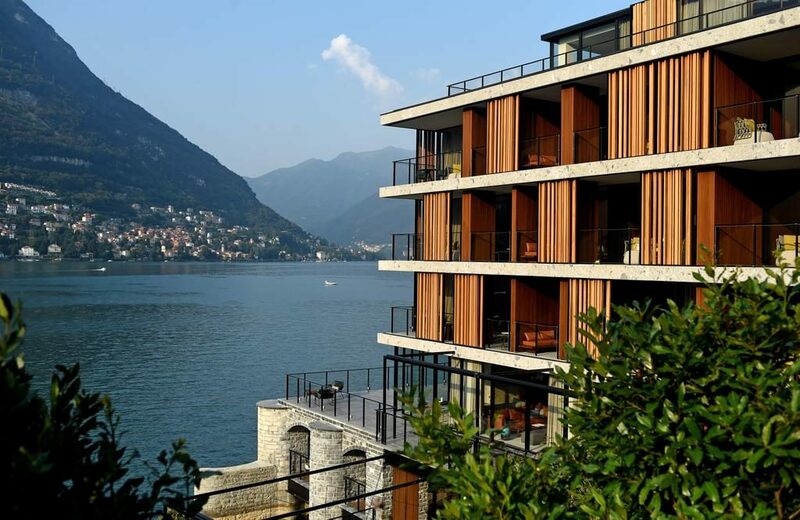 Offering luxury accommodation (suites only) decorated by a Wallpaper Magazine Designer of The Year, Il Sereno has Lake Como lapping at its foundations. Panoramic views are complemented by high style and classic Italian design and guests can enjoy excellent facilities including a spa (in the original century-old boathouse) with sauna and steam room, beautifully kept gardens, on-site cooking lessons, and fishing. 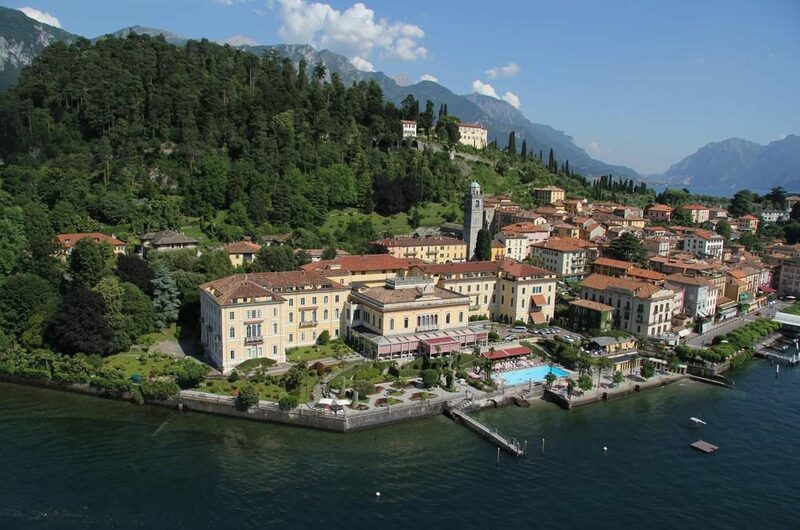 Enjoying its status as the only 5-star hotel in Bellagio, Villa Serbelloni has been owned and run by the Bucher family since 1918. 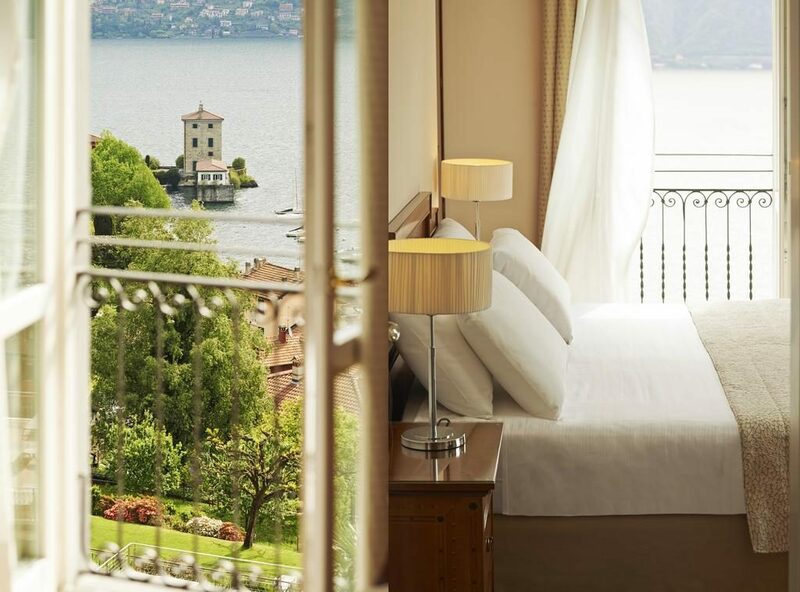 One of the oldest and most elegant hotels in this area of Lake Como, this hotel offers 95 air-conditioned rooms and suites decorated in classic and antique Italian styles with all mod cons including flat-screen TVs. Guests can enjoy a swimming pool with large sunbathing area, a spa with sauna and steam room, a fitness room, and beach facilities. A choice of restaurants and bars, a jazz trio performance each night, and white-gloved service means a pleasurable stay in luxurious surroundings. With a view across to the lovely village of Bellagio, the Grand Hotel Tremezzo is one of the most imposing hotels in the heart of Lake Como. Set in lush gardens with the Grigne Mountains as the backdrop, the lovely art nouveau hotel offers luxury accommodation in rooms and suites including a number of historic suites with facilities such as access to private garden areas, and also rooftop suites for spectacular views. Guests can dine in excellent gourmet restaurants (once patronised by Greta Garbo), enjoy treatments in a luxury spa, and swim in various lovely pools and from the lake’s only private beach. Located in the coastline town of Lezzeno, Filario Hotel has a modern aesthetic but a traditional sense of hospitality. Each room and suite has cosy balcony overlooking the lake and has an earthy, natural décor to connect with the surroundings while still being fitted with the best mod cons expected of a top-class hotel. The Filo restaurant takes you on a journey of traditional Italian food in a romantic setting and you can work off the excesses in the fitness room, a bicycle tour around the lake and mountains, or order en-suite massages and spa treatments. Converted and extended from a 19th-century villa, Villa Flori is a luxury 4-star hotel standing between Como and Cernobbio. As well as a selection of rooms and suites, it offers the spectacular Gran Lago Suite right on the waterfront complete with wraparound terrace and lush gardens that offer almost complete privacy. Hotel guests can dine in the sophisticated elegance of the Raimondo restaurant complete with terrace or relax in the lounge bar or wind down in the mini spa which also offer Technogym machines for a bit of a workout.